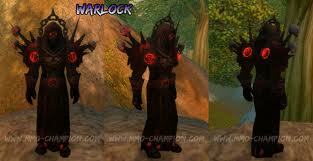 This entry was posted on November 9, 2010 at 4:36 pm and is filed under PvP, World of Warcraft. You can follow any responses to this entry through the RSS 2.0 feed. You can leave a response, or trackback from your own site. Agreed on all counts. The game seems to be focused more and more on a younger less experienced gamer, and this would seem to be another way the company has made it less confusing for them. My biggest gripe is the long term process whereby all the classes seem to be melding into one basic class. With every addition of new content, we lose more of our ability to be unique, individual characters. You remember when all of that started? When they decided give The Horde Pallies and the Alliance Shaman. After some brainstorming with my brother, we decided a great way to implement a system like this would be to pay a gold cost in accordance with item level/character level to transfer the stats of one item to that of another. Akin to the way hairstyles cost you more money as you level. This way, low level toons would be able to afford looking as broke as they are, and high level toons would have hideous amounts of options. Do you really like the look of eyeballs protruding from your shoulders but cant see why the stats could go well with a druid? I propose going so far as to allow characters to buy models with gold, adventuring or just as rare loot. For example, after you have looted an item like Smites Reaver, and you just love the look of it, you could pay a gold cost to imbue the stats of your Ziggler onto the model of your Reaver, the Ziggler disappears, and you have a brand new old favorite. One system already in place like this is the new inscription mechanics. Once you buy a glyph, you always have it available to switch. They do this because no single glyph combination is better than another, just like talent builds are impossible to mess up now. Another example of this concept in game is mounts. You can buy plenty of different colors shapes and sizes of mounts, and no single mount is the best. IS there a official forum thread anywhere pertaining to this sort of change?